ALL THE SINGLE LADIES PUT YOUR HANDS UP! Says the wise words from Queen Bey. Earlier this week I was playing around with my newly colored hair and tried out a new technique to curl it! (more on this soon!! I filmed a tutorial!) I looked at myself in the mirror and said wow...I'm channeling my inner Beyonce right now! But really, who wouldn't want to be Queen Bey! She's amazing! With or without her weave ;) She can rock anything! I admire her for that and that's why I put up these pictures! Just as a little joke of course! 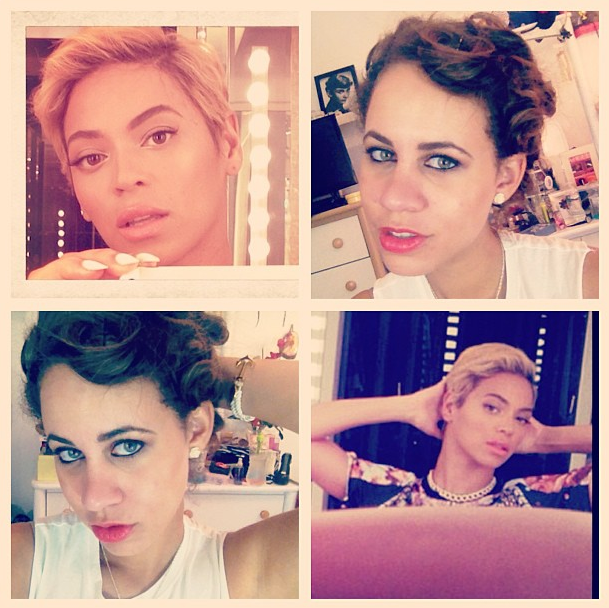 So on a scale of 1 to Beyonce how much do I look like her! ;D haha!